No matter where the staff is or their preferred modes of communication, they can be reached in several ways: calls to regular or cell phones, dome lights, computers, SMS texts, and lighted annunciator panels. The code blue with staff assist that is a part of this nurse call solution allows staff members to send emergency notifications from their location or to ask for help when assisting a patient. Whether a stand-alone restroom room, set of patient rooms or multi-office building, the Tech Works nurse call solutions is UL-1069 compliant. This allows you to meet the smallest requirement of one station or to scale and integrate into other systems in a larger facility. 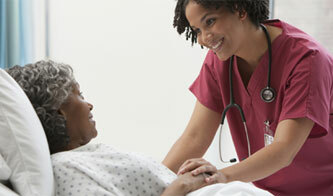 customized reporting to improve the patient experience. 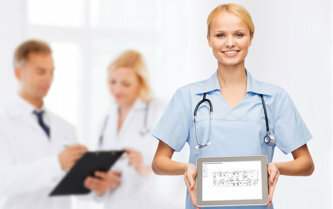 Incorporate custom messaging and reporting that allow you to integrate with your Electronic Medical records, send messages to staff and patients, or create specialized reports to manage your operations and compliance requirements. inclusive or modular-based system to meet the specific needs of your facility. Vandal-proof nurse call options available that are built to resist abuse in high security environments. Click here for our configuration questionnaire. These questions will assist Tech Works in designing a system custom tailored to you or your client’s specific needs.